Discussion in 'PatsFans.com - Patriots Fan Forum' started by jmt57, Apr 15, 2017. This was a rematch of the Letterman Jacket Game from six weeks earlier. The Pats held a slim 17-13 halftime lead, then broke the game open in the third quarter. New England went 69 yards on seven plays on the opening drive of the second half, upping the lead to 24-13 on an 8-yard Stevan Ridley run. Two possessions later the Texans once again drove to the Patriot 37, but Schaub was intercepted by Rob Ninkovich at the 31. Less than three minutes later the Patriots scored on Brandon Lloyd's 5-yard touchdown catch, making the score 31-13. This was Brady's 40th career touchdown pass in the postseason, making him only the third player with so many in the postseason. On their next drive, very early in the 4th quarter, Houston went for it on 4th-and-1 from their own 33 but Schaub's long pass fell incomplete. On the very next play Brady hit Shane Vereen on a 33-yard touchdown pass, Vereen's third touchdown of the game, putting the game away with a 38-13 lead. Houston did come back to trim the lead to 38-28 with 5:11 remaining, but Ninkovich recovered the onside kick. The Pats held the ball for nearly four minutes before Stephen Gostkowski connected on a 38 yard field goal for the final score. With the victory Tom Brady became the winningest quarterback in NFL playoff history with his 17th postseason win, breaking a tie with Joe Montana. The game was also the 450th victory (regular season and playoffs) in Pats franchise history. The win put the Patriots into the AFCCG for the ninth time in franchise history, and a rematch of the 2011 title game (as well as a rematch of Week 3) with the Baltimore Ravens. The Patriot defense sacked Mariota eight times, setting a franchise playoff record. Tennessee RB Derrick Henry had rushed for 156 yards the previous week against KC, but the Pats limited him to just 28 yards on 12 carries. Tom Brady passed for 337 yards and three touchdowns; it was his 10th career postseason game with at least three TD passes, moving him past Joe Montana for the most in NFL history. Danny Amendola led the Patriots with 11 catches for 112 yards. The Colts entered the game with the most decorated offense in recent league history. The Patriots walked onto the field with a secondary built with patchwork and guts. But after a season in which Manning threw a record 49 touchdown passes, he could not even muster one against New England. But on Sunday, with three defensive starters out with injuries -- cornerbacks Ty Law and Tyrone Poole and end Richard Seymour -- New England still knocked the Colts' receivers around once they emerged from their 5-yard cushion. The Patriots used linebackers, the young cornerbacks Asante Samuel and Randall Gay, and even the receiver-turned-cornerback Troy Brown to disrupt the Colts' routes. "What are they going to do next?" Brown said of league officials' decision to reinforce the illegal-contact rule this season. Then there was the snow, which, as it did in the championship game last season, swarmed into the stadium, falling in damp clumps. The New England Patriots had heard the predictions of their postseason demise from the naysayers who said they couldn't stop Indianapolis Colts quarterback Peyton Manning and his stable of big-play performers. But these are the champions, playing at home, and on a snowy, emotional Sunday afternoon, the Patriots kept hope alive for a third Super Bowl title in four years with a methodical 20-3 victory that ended Manning's dream season with yet another nightmare finish. "I told someone today I felt like there had been more hype over this game than there was for the Super Bowl last year," Patriots safety Rodney Harrison said. "There was a lot of doubt about it, and it ticked us off more and more. It ticked us off that no one gave us respect. I couldn't even sleep last night." The Patriots prevailed Sunday mostly because their offense became their best defense. Three of their four scoring drives covered 78, 87 and 94 yards and consumed 9:07, 8:16 and 7:24. It must have seemed like an eternity to Manning and his offense, bundled up against the cold on the sideline and unable to get back onto the field as the Patriots marched toward the goal line. As a 16 year old kid Reilly set the Guinness World Record for fastest time eating a 7.5-ounce white onion at 1 minute and 35 seconds, shattering the former mark of 2:45. Reilly earned a football scholarship to Texas Tech, but instead accepted a two-year Latter Day Saints mission to Sweden. After returning he was a walk-on at Utah - a 22-year old redshirt freshman. By the time he was a senior he was married with two kids. During that senior year his wife discovered a lump on their 9-month old daughter. Two days later she had her kidney removed, and had to undergo chemo for a year; it has been in remission since. The next year Reilly was selected by the Jets in the seventh round of the 2014 NFL draft. After two seasons with the Jets - and some interesting moonlighting as an Uber driver - Reilly went on IR. After reaching an injury settlement with the Jete, Reilly was a free agent. Two days later the Patriots signed him to their Practice Squad on October 20, 2016. Miami signed Reilly to their full roster off the Pats PS on December 19. The next season Reilly did not survive final cuts, and the Dolphins re-signed him to their Practice Squad. He was released October 10, 2017 and two days later the Pats again signed Reilly to the PS. A few weeks later he was promoted to the 53-man roster after Harvey Langi was injured in an automobile accident. In late December Reilly returned to the Practice Squad, to make room for James Harrison. This past fall Reilly worked as a grad assistant and part time scout player for the University of Utah Utes, while hoping for a return to the NFL. He will be playing under Dennis Erickson for the Salt Lake Stallions of the Alliance of American Football next month. While with the Patriots Reilly appeared in six games, from week 8 to week 15 of the 2017. Reilly logged 57 defensive snaps and 94 special team snaps with the Pats. This of course was also the game that Ryan Grigson, Bob Kravitz and others conspired to attempt to frame the Patriots - while forgetting grade school science and the Ideal Gas Law. Pats Fans: How Strong is the Curse of Deflategate? Dec. 22, 1985: New England Patriots fans gave their team a spirited sendoff into the playoffs. Brian Holloway fought his way to the dressing room at Sullivan Stadium after the 34-23 win over the Cincinnati Bengals put the Pats into the playoffs. Dec. 22, 1985: Following a crucial 34-23 Patriots victory over the Cincinnati Bengals, which assured the Patriots of a playoff berth, thousands of fans spilled onto the field, pushed over the goal posts and carried them away. Thousands of fans poured onto the field and tore down the goal posts Sunday, carrying part of one of them out of Sullivan Stadium. The celebrants took the post through an exit tunnel behind the north end zone, across a parking lot to nearby Route 1 where 600 marched down the highway tying up traffic in both directions. When police arrived, shortly before 4:30 p.m., the fans moved from the northbound lanes to the southbound lanes, where they stuck the goal post in a steel barrel. The barrel tipped over and the metal post struck a power line carrying 20,000 volts along the side of the road, police said. Two fans were thrown through the air and landed on the opposite side of Route 1, said state trooper David Rea. Two other people fell to the ground and a fifth was thrown into the middle of the street, Rea said. The Patriots would go on to defeat the Jets, Raiders and Dolphins - all on the road - to win the franchise's first AFC championship, and first trip to the Super Bowl. 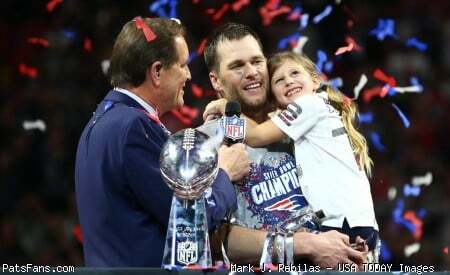 It may not sound like anything special now given all the success the team has had this century, but that was a very special, magical time for Patriot fans back then. All that was missing from tonight's playoff game at Foxboro Stadium was a snowplow, a prisoner on work release and a coach looking to clear a swath for a winning field goal. In an American Football Conference divisional playoff game that looked as if it were played inside a snow globe, the New England Patriots left the snowplow on the sideline but still got a 45-yard field goal from Adam Vinatieri with 27 seconds remaining in regulation to send the game into overtime and a 23-yarder at 8 minutes 29 seconds of overtime to beat the Oakland Raiders, 16-13, and advance to the A.F.C. championship game next Sunday. If this was to be the final game at Foxboro Stadium -- it will be razed as soon as the Patriots play their final game here this season -- it was a fitting way to go. Snow began falling heavily at least two hours before kickoff and continued throughout. Snow accumulated in a small drift on the bill of Raiders Coach Jon Gruden's visor. Quarterback Tom Brady scored on a 6-yard scramble that drew the Patriots to 13-10 with 7:52 remaining and then directed the eight-play drive that resulted in Vinatieri's tying field goal with 27 seconds left in regulation. That drive included a controversial play on which the initial ruling -- that Brady fumbled and the Raiders recovered -- was overturned. After a review, the officials ruled that Brady was in the act of throwing, so it was an incomplete pass and New England kept the ball at Oakland's 42. The Patriots moved to the Oakland 29, and after three consecutive incompletions, Vinatieri tied the game. The second of the Patriots' two first-round draft picks (27th overall) in the 1982 NFL Draft, Williams quickly established himself as a mainstay on the defensive front, starting all nine games during his NFL strike-shortened rookie year. The University of Miami product was a part of an impactful Patriots draft class that included the No. 1 overall pick, defensive end Kenneth Sims, running back Robert Weathers (second round), Patriots and Pro Football Hall of Fame linebacker Andre Tippett (second round), guard Darryl Haley (second round), wide receiver Cedric Jones (third round), linebacker Clayton Weishuhn (third round) and free safety Fred Marion (fifth round), a fellow All-American with Williams at Miami. In his first game against the Buffalo Bills at Fenway Park on national television, Bobby returned a punt for 70 yards and caught a pass from Vito “Babe” Parilli for a 26-yard touchdown. Acquired March 15, 2016 in trade with Arizona Cardinals. The Jonathan Cooper era in New England has ended before it truly could begin. The Patriots on Saturday released Cooper, a source told ESPN’s Field Yates. The 26-year-old guard had yet to appear in a game for New England as he continued to recover from a foot injury suffered during the first week of training camp. In a corresponding move, the Patriots signed defensive lineman Woodrow Hamilton off their practice squad, a source told NESN.com’s Doug Kyed. Hamilton will shore up the team’s defensive front, which lacked depth entering Sunday’s matchup with the Cleveland Browns. Was an end and defensive end for the Rams in the 1940s. Was a fullback for the Los Angeles Dons and Miami Seahawks in the AAFC. I have this photo accompanying a piece of Foxboro Stadium bench signed by Adam V hanging in a frame on my living room wall. Drives my Raiders fan girlfriend crazy. Which reminds me...I need to remind her about today's 17 year anniversary. Which game was the "cut that meat!" game? The 2003 AFCCG or the 2004 AFC Divisional? On this date for all but 3 of the past 50 years the Jete were already playing golf. "They covered, they tackled, they played hard," Belichick said. "They gave a tremendous effort." Manning, whose record against the Patriots fell to 2-10, partly blamed the play-calling for the Colts' lack of punch, saying "we just didn't have the plays called at the right time." The last four minutes doubled as my favorite random moment of the Belichick Era. Leading 20-3, with the Colts driving for their typical garbage touchdown, Belichick basically said "Screw that!" and kept his starters on the field. The crowd picked up on it immediately, standing as one, serenading Manning with "Cut that meat!" and "Peyyyyyyyyy-ton!" chants, imploring the defense to make one last stand. Between plays, Bruschi was hopping around like Vince Neil, whipping his team (and the crowd) into a frenzy. With 30 seconds left, CBS's cameras showed Dillon on the sidelines -- he was glancing around the stadium and nodding his head, eating this up, almost looking like Cyrus at the beginning of "The Warriors." So much for Corey Dillon being a cancer. Tomlinson carried on the first two San Diego plays, and did not touch the ball again because of a bad knee. Chargers quarterback Philip Rivers hung in despite a bum knee and star tight end Antonio Gates did his best with a dislocated toe. The Chargers (13-6) gave a better performance than early this season, when they were routed 38-14 at New England. They trailed just 14-12 midway in the third quarter this time, but Brady's 6-yard TD pass to Wes Welker was enough for New England. In stark comparison to Tomlinson, Philip Rivers played this game on a torn ACL. The Patriots led 13-7 at halftime. Baltimore's first drive of the second half stalled after only one first down, and after a punt New England took possession at their own 9-yard line. The Pats drove to the Raven 36 yard line, but could only pick up two more yards. Rather than attempt a 52 yard field goal on a windy day, the Patriots punted. Baltimore drove 87 yards on ten plays to take a 14-13 lead. The Pats went 3-and-out, and the Ravens scored again - on another ten play drive, this one finishing on the first play of the fourth quarter. On the ensuing drive Bernard Pollard forced a Stevan Ridley fumble, and Baltimore recovered. Four plays later the Ravens scored to make the score 28-13. The Patriots responded, advancing to a first down on a pass to Deion Branch at the Baltimore 25. Faced with a 4th-and-4 from the 19 yard line, down 15 with 8:35 to play, Belichick opted to go for it rather than kick a field goal. Brady's pass to Branch was incomplete, and for all intents and purposes the game was over. The Patriots were without Rob Gronkowski after he reportedly broke his forearm the previous week against Houston, blocking on an extra point up by 35 points. The Pats were led offensively by Wes Welker (8 receptions for 117 yards and one touchdown) and Aaron Hernandez (9 receptions for 83 yards). Anquan Boldin had two touchdown receptions for Baltimore. Played in 41 regular season games and 5 playoff games with New England, with 7 starts. - Aug 31, 2018: traded to Falcons for a conditional 2020 7th round draft pick. Career stats with Patriots: 42 tackles (36 solo), 3 passes defensed, 2 forced fumbles and one fumble recovery. Played with Toronto Argonauts in CFL but pro football career ended in 2016 due to a knee injury. In a back-and-forth battle that ended in heartbreak for the Baltimore Ravens and kicker Billy Cundiff, the New England Patriots advanced to Super Bowl XLVI with a 23-20 victory on Sunday. Cundiff missed a 32-yard field goal in the final seconds that would have sent the game into overtime, hooking it wide left. Two plays prior, Ravens receiver Lee Evans failed to hold onto the ball in the end zone. A catch would have given Baltimore the lead and a likely victory. . . . The victory gives Brady his 16th career postseason victory, tying him with Joe Montana for the most in NFL history. This AFC Championship Game, played at home, was especially painful since there is no question in my mind that the Steelers could have whooped Philadelphia in the Super Bowl. In fact, we had already beaten New England and Philly in back-to-back weeks during the regular season making this loss hard to swallow. It was also painful physically. The temperature of 11 degrees was the coldest playoff game in Pittsburgh history and one of the coldest Steelers' games ever, period. With the wind-chill, it was somewhere in the minus category. Bullough is a major influence in NFL history, the architect of the 3-4 Fairbanks-Bullough Defense. Bullough said he suggested it to Fairbanks prior to the 1974 season. "We were the first," claimed Bullough. "We had gone through a tough season in '73 and our defensive line wasn't very good. We had drafted Steve Nelson and Sam Hunt and they were two good-looking kids at linebacker, and I said to Chuck, `Let's go to the 3-4,' and that's what we did." Nelson had played the 3-4 at North Dakota State for four years. Hunt was also a big, raw linebacker out of Stephen F. Austin, and the two young guys were in the middle with Steve King and veteran George Webster on the outside. "It worked out well because we had Ray [Hamilton] at the nose and we brought in Mel Lunsford the year before from Washington in a trade and Mel was decent against the run," said Bullough. "We had acquired Tony McGee from Chicago in '74 and he played the end on passing downs, and we had Julius Adams playing the other side." The Patriots went 7-7 that season, and really struggled in '75 with a 3-11 record. But by `76, with the infusion of rookies Tim Fox and Mike Haynes in the defensive backfield and talented Steve Zabel at outside linebacker, the Patriots had a standout defense. "The 3-4 definitely allowed you to have good matchups on defense," said Nelson. On the trail of the two gap 3-4 gives a good historical timeline on the evolution of the 5-2 Oklahoma defense, and tracking of defensive influences throughout the careers of Jimmy Johnson and Bill Parcells. 3 Philosophies of the 3-4 defense is a good primer for those that may want to learn more about defensive fronts and strategies. The Fairbanks-Bullough 3-4 features 3 defensive linemen. The Tackles are head up on the Guards in 4-techniques, and the Nose Guard is in a head-up 0 Technique on the Center. Two Linebackers are in 30-Techniques over the Guards, and two more Linebackers are outside, somewhere between 1×1 and 3×3 off of the End Man on the Line of Scrimmage (which can vary much more depending on the offensive formation). A couple of 2011 articles by Mike Dussault look at Bullough's defensive philosophy. When people think of the 3-4, they associate it with Pittsburgh’s Zone Blitzing scheme. Pittsburgh’s Zone Blitz 3-4 is just one of three versions of this defense. The other two versions of this defense that are used much more than the Zone Blitz are the Phillips 3-4 and the Fairbanks-Bullough 3-4[which the Patriots run]. Not all 3-4 defenses are created equal, nor are the players that play in these systems. Despite the fact that the Bullough can be confusing, the system relies on a lot on “bend; don’t break” thinking. The system will often give up short yards in the run, and blitzes are not common. The idea is that the longer the offense is on the clock, the longer it takes them to score, and the more plays the offense risks an interception, fumble, or a fourth down. Within Patriot folklore Bullough is most well known for part of the fiasco of the 1978 season. Head coach Chuck Fairbanks had had enough of Billy Sullivan's cheapness and meddling from his sons, and word got out that Fairbanks had accepted a position with the University of Colorado. Sullivan fired/suspended Fairbanks - eight days before they were about to play a postseason game. Rather than name a single interim head coach, the mind trust decided to have Bullough be the head coach when the Pats were on defense, and Ron Erhardt the head coach when the team was on offense. Typical bizarreness for the Sullivan-era Patriots. Bullough suffered a stroke in 2014, but his children and grandchildren are still quite athletic. Harmon was inactive for the first game of his pro football career (9/8/2013 vs Buffalo). He has played in every Patriot game since: 95 regular season games, 15 postseason games. During those 95 games he has had 3,152 snaps on defense, and 486 on special teams. In his 95 games Harmon has 15 interceptions, 23 passes defensed and three fumble recoveries. He also has 152 tackles (117 solo). Over the course of 15 playoff games Harmon has played the Patriots are 12-3. He has three postseason interceptions: late in the third quarter of the 2014 division round win off Joe Flacco, late in the 4th quarter to seal the win in the 2016 division round win over Houston, and on the two yard line off Nick Foles in Super Bowl LII. On an unseasonably warm afternoon in which the Patriots never led, Sunday’s AFC Championship game wasn’t decided until the final seconds. A 4-yard touchdown pass from Tom Brady to Rob Gronkowski on fourth down — after a 40-yard completion on another fourth-down play — brought the Patriots within 2 points with 12 seconds left. But the 2-point try failed, Brady’s pass intended for Julian Edelman was tipped by former Patriot Aqib Talib and intercepted by Bradley Roby. Pats 2nd round (56th overall) selection in the 1993 draft, from NE Louisiana (now University of Louisiana at Monroe). 3,157 career receiving yards was 8th most in franchise history at the time (16th now). 217 career receptions was 7th most in Pats history the (17th now). 14.5 yards per reception ranks 6th best in club history (minimum 200 catches). Signed as a free agent on September 18, 2010, four days after being released by Rex Ryan and the Jets - and one day prior to the Patriots playing NYJ. Woodhead filled an open roster spot vacated after the Pats traded Laurence Maroney to Denver. He was inactive for the game vs the Jete, but Kevin Faulk suffered a season ending knee injury that day, and Woodhead appeared in every game for the remainder of the season. Woodhead played in 45 regular season games in three years in New England. He had 14 touchdowns and 2181 yards from scrimmage, averaging 4.8 yards per carry and 10.7 yards on 92 receptions; he also returned 22 kicks for another 48 yards. Woodhead also played in six playoff games for the Patriots, with one touchdown. San Diego signed Woodhead as an unrestricted free agent on March 15, 2013. He retired from pro football on March 17, 2018. In ten NFL seasons he had 5,694 all purpose yards with 15 rushing touchdown, 17 receiving TD, and two 2-point conversions. Had no idea Vincent Brisby was so prolific. Thanks to @jmt57 for these glorious trips down memory lane.